A Walking Tour through Kasbah, one of the Marrakech Medina’s Best Neighborhoods offers exploration inside its historic walls. Kasbah’s is a local Moroccan neighborhood that boasts Moroccan street fare, an authentic shopping experience, ancient sites and is the perfect pit stop for teat at sunset. Once a neighborhood that was on the edge of ruins, Kasbah, in the Marrakech medina is now the place to be. You can start a walking tour at the Marrakech medina’s Kasbah mosque walls which are freshly painted white flanked by a towering minaret pink with turquoise decoration and green tiles. 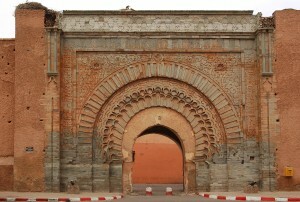 The Kasbah Square is entered though the great Bab Agnaou gate built by the Almohad dynasty in the 12th Century. The street leading to the mosque, the Passage Agnaou, is full of Berber jewelry shops, with large beaded necklaces, silver rings, handicraft stalls, spices and herbal remedies mixed with small stores, called hanouts. There are also antique shops selling carved wooden African artifacts found in this Marrakech hip neighborhood. A visit to the Saadian Tombs is a must. The Saadian tombs lie through a gateway at the end of the mosque founded by Sultan Ahmed El Mansour (1578-1603) and his successors. 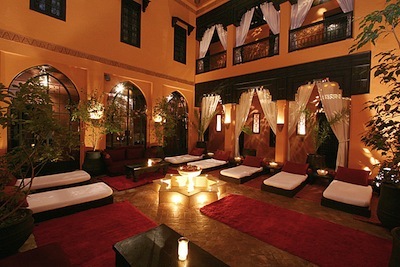 The exquisite cedar wood and stuccowork and high white columns are one of the glories of Marrakech. 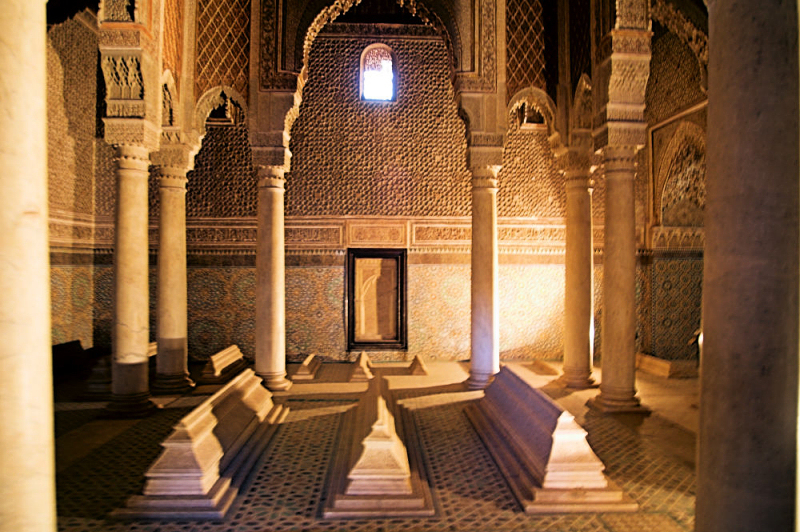 The tombs were rediscovered and restored during the French Protectorate in 1917. For lunch an ideal stop is The Kasbah Café, which offers local Moroccan fare that can be eaten on its terrace with views of the medina and the Kasbah mosque. As you walk down to the Place Moulay Yazid, you can see a more local view of handicraft shops, herbalists mixed with small hanouts that serve the local community. For the ultimate shopping experience and fixed prices stop at the The Ensemble Artisanal. 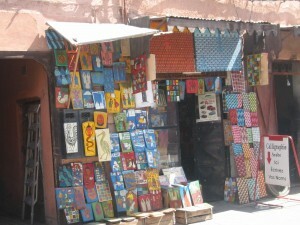 The Ensemble Artisanal is a store crammed with handicrafts, caftans, Moroccan baboosh and other typical tourist items. There is an elevator to the second floor where you can find carved and decorated wooden furniture, more handicrafts and a whole room filled with bronze horses, lions, elephants and tigers and ornate metal lamps. The third floor has an impressive collection of furniture. The shops peter out as you move down the long street, but before they do, a small gem reveals itself. It is a calligraphy shop that displays colorful and delightful traditional naive paintings of figures on wooden tablets. Islamic art generally prohibits the painting of the human form but naïve painting, which is not Islamic in inspiration, escapes this ban. These charming naïve figures depicting Moroccan family life make good presents for the children. A great way to end the afternoon is at La Sultana, one of Marrakech’s most exotic and luxurious Riads that is on the boutique hotel of the world hot list. 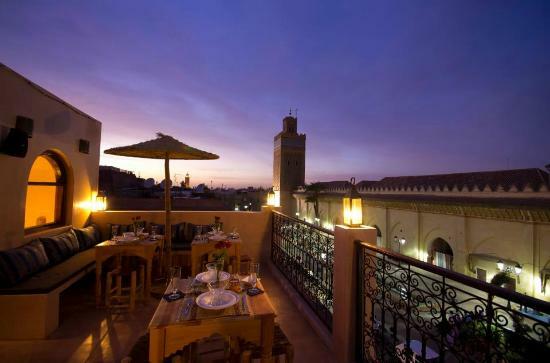 This stylish yet elegant Riad filled with European and African antiques is epic Moroccan style with a European twist La Sultana’s rooftop terrace is a coveted place to sip tea or have a glass of wine to unwind at sunset. 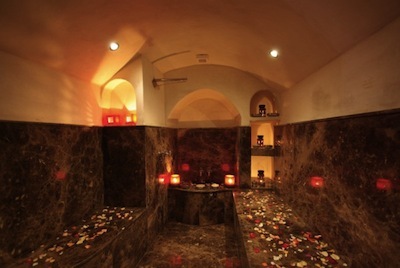 You are currently browsing the archives for the Marrakech Holiday category.